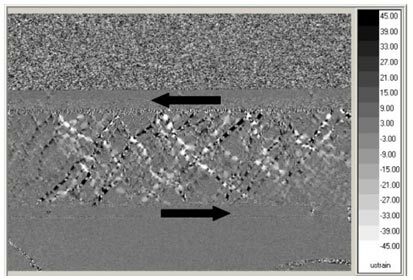 Hori, T., H. Sakaguchi, N. Yoshioka, and Y. Kaneda, Shear resistance reduction due to vibration in simulated fault gouge, in AGU Monograph, Radiated Energy and the Physics of Earthquake Faulting, American Geophysical Union, 135-142, 2006. Lei, X., Typical phases of pre-failure damage in granitic rocks under differential compression, Geological Society Special Book, 261, 11-29, 2006. Lei, X., and Satoh, T., Indicators of critical point behavior prior to rock failure inferred from pre-failure damage, Tectonophysics, 431, 97-111, 2007. Moura, A., Lei, X., and Nishizawa, O., Self-similarity in rock cracking and related complex critical exponents, J. Mech. Phys. Solid, 54, 2544-2553, 2006. Nagata, K., M. Nakatani, and S. Yoshida, Monitoring frictional strength with acoustic wave transmission, AOGS 3rd Annual Meeting, Paper ID: 59-SE-A1051, Suntec Singapore, 2006a. Nagata, K., M. Nakatani, and S. Yoshida, Probing Contact State With Acoustic Wave Transmission: A Quantitative Experiment, AGU Fall Meeting 2006, S33A-0223, San Francisco CA. USA, 2006b. Satoh, T., and Lei, X., Importance of AE study for fracture process of heterogeneous solid material - High-speed, multi-channel AE measurement system in Geological Survey of Japan/AIST -, NDE-2006 Proceedings, National Seminar on Non-Destructive Evaluation, 271-275, 2006. Yoshioka, N. and H. Sakaguchi, An experimental trial to detect nucleation processes by transmission waves across a simulated faults with a gouge layer, in "Advance in Geoscience, Vol.1, Solid Earth" (eds. Wing-Huen Ip, Yun-Tai Chen), World Scientific, 105-116, 2006. Yoshioka, N. and K. Iwasa, A laboratory experiment to monitor the contact state of a fault by transmission waves, Tectonophys., 413, 221-238, 2006.